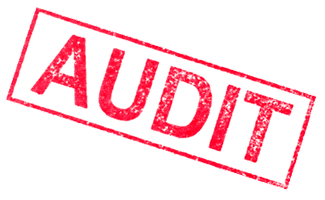 The word “audit” can make even the most level-headed person anxious. In the SEO world, an audit is nothing to stress over. It is like a check up for your website. Is your site fully optimized? We can help. Review technical infrastructure of your website to pinpoint trouble areas. Collect data and analyze to get a big picture of your SEO needs. Create a comprehensive plan for your SEO before you put valuable resources in the wrong direction. Depending on specific needs, final reports provided to our clients may include all or some of the above elements. Before we start any site analysis, we meet with you to set goals and discuss current site issues and concerns. From there, we put together a custom proposal detailing areas of focus and deliverables. At the conclusion of the research and analysis process, we provide a detailed report and walk you through our findings. From there, next steps might include sharing findings with your web developer for implementation or working directly with us to rectify any issues uncovered. Common post-audit action paths often chosen by clients include on-page optimization services and link building. It is a common misconception that going full steam ahead on one aspect of optimization, like link building, can get the same results as a professional audit. We agree that any time and effort you put into your website will provide benefits, however, there are some behind the scenes pitfalls we can help you avoid. For example, there are complicated algorithms and rules employed by search engines regarding linking. If you go full steam ahead on a linking campaign and choose low quality links, this could actually lower your rankings in the end. Additionally, any optimization activity that you invest time and patience into will reap greater benefits if directed towards a fully optimized site working to its best potential. If you drive traffic to your site and it is rife with technical issues and errors, your rankings may not improve. A well timed and executed audit of your site can catch these errors and prevent wasting of your time. Audit findings are often things that you have direct control over, and usually addressing any issues will significantly increase rankings and traffic. Your website is the backbone of your business. Our SEO audits provide a solid foundation to hold up all of your online marketing efforts. Whether you’re launching your first website, got burned by a previous SEO company, or wish to redesign with SEO services from the start, you can benefit from our comprehensive SEO audit and website analysis.